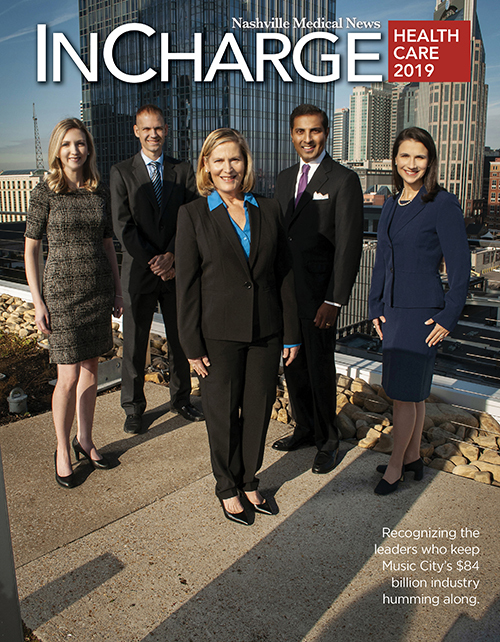 In late May, the Nashville Health Care Council celebrated the most recent group of healthcare executives to earn the designation of Council Fellow. The 31 executives completing the challenging curriculum explored strategies and collaborated on solutions to address some of today's most complex and pressing healthcare issues during eight day-long sessions that kicked off with a retreat in late January and culminated with a May commencement ceremony. Co-directed by former U.S. Senate Majority Leader Bill Frist, MD, and Larry Van Horn, professor of Healthcare Management and Economics at Vanderbilt's Owen Graduate School of Management, Council Fellows provides an exclusive opportunity for top healthcare leaders to engage in dialogue, share unique perspectives and enhance the skills needed to carry the industry forward. "In the program's sixth year, we continue to see how convening the brightest healthcare minds under one roof can drive meaningful change in our industry," Frist said. "With the passion these Fellows have for innovation combined with the collaborative dialogue and ideas explored, I am confident this diverse group of individuals will shape the future of healthcare across the country." The 2018 Fellows class focused on advancing healthcare entrepreneurship and innovation. Topics included the opioid epidemic, disruptive technologies, innovative care delivery models, the role of nutrition in maintaining health and preventing disease, social determinants of health, shifting reimbursement models, state and federal policy reform and more. Jonathan Bush, CEO of athenahealth; George Barrett, executive chairman of Cardinal Health; Sen. Bob Corker; and Donato Tramuto, CEO of Tivity Health were among the guest faculty to address the 2018 Fellows Class. Todd Park - co-founder and executive chairman of Devoted Health, previous co-founder of athenahealth and Castlight Health, and former U.S. chief technology officer - gave the keynote address at the 2018 Fellows graduation ceremony. Park provided some firsthand lessons from his 25-year career in healthcare and expressed expectations for this class. "I really believe this class of Fellows is a national resource and that you're each national treasures," he told the class inside Nashville's Noah Liff Opera Center. "Fellows brings together a group of people who are both incredibly accomplished, yet still on the upswing of their careers. The notion of getting them all together and exposing them to these experiences and lessons, to discuss the key issues in healthcare so that they're that much better equipped to be change agents, is incredibly exciting. And it's fantastic and fitting that Nashville is the host of this kind of program." Gene Boerger: COO, Preverity, Inc.
Mary S. Flipse: Chief Legal and Administrative Officer, Tivity Health, Inc.
Sam Weinstein, MD: CEO, SpecialtyCare, Inc.
As one Fellows year winds down, preparations begin to welcome the next class of leaders. Applications for the class of 2019 will open in September. To apply, candidates must submit information and statements of interest, professional bio, resume and letters of recommendation from his or her CEO and a fellow healthcare leader. The 2019 class will be selected by the Council Fellows Advisory Committee and announced in December. 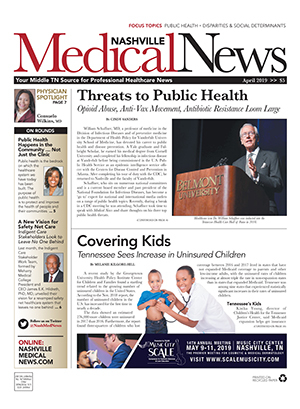 For more information, go online to HealthCareCouncilFellows.com.